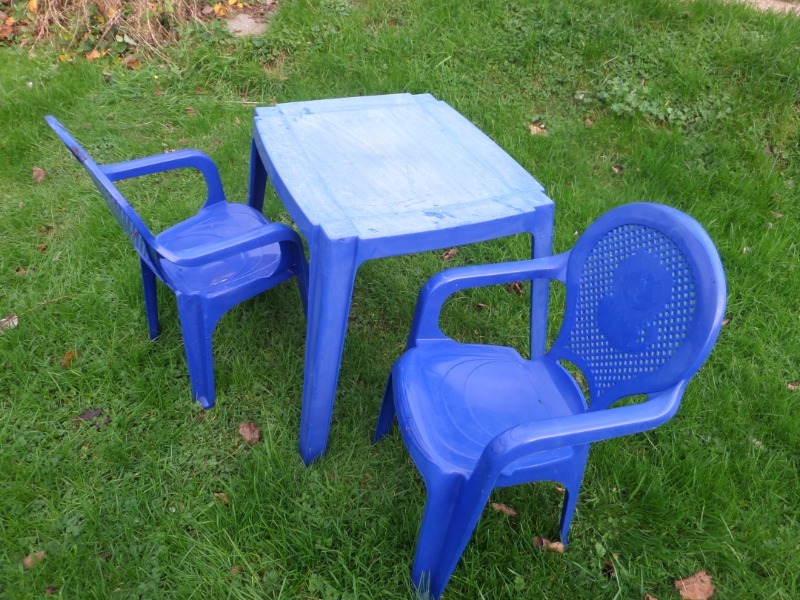 Give and get stuff for free from your neighbours in and around Exmouth. Offer things you don't need, and ask for things you'd like. 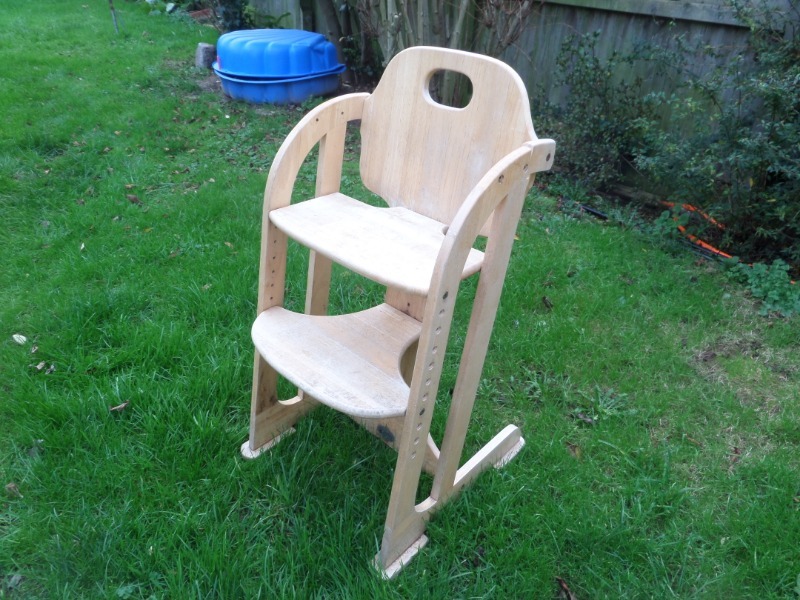 Don't just recycle - reuse with Freegle! OFFER posts will be auto-reposted after 3 days, WANTED posts after 7 days. 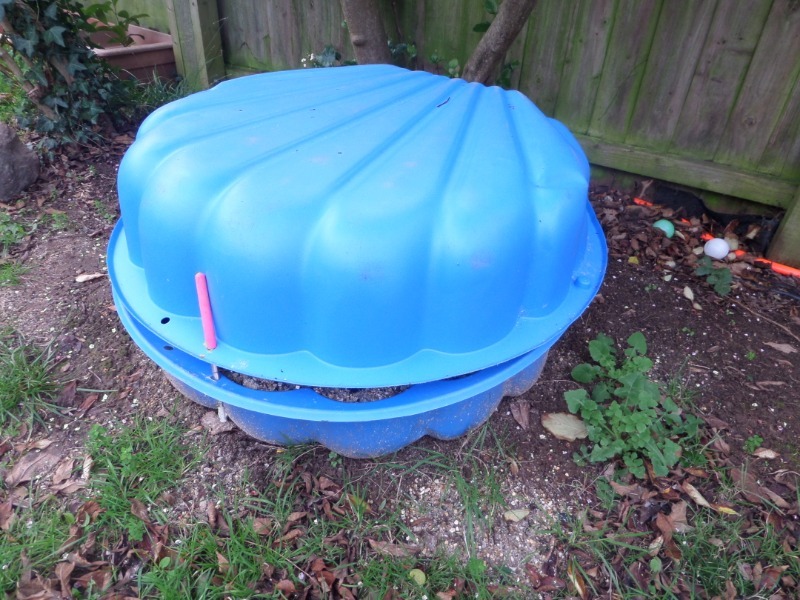 Big, freestanding, garden outdoor type trampoline 3 meters diameter, few years old (please note photos show the NEW item, this trampoline is approx 7 years old - but still in good usable condition). 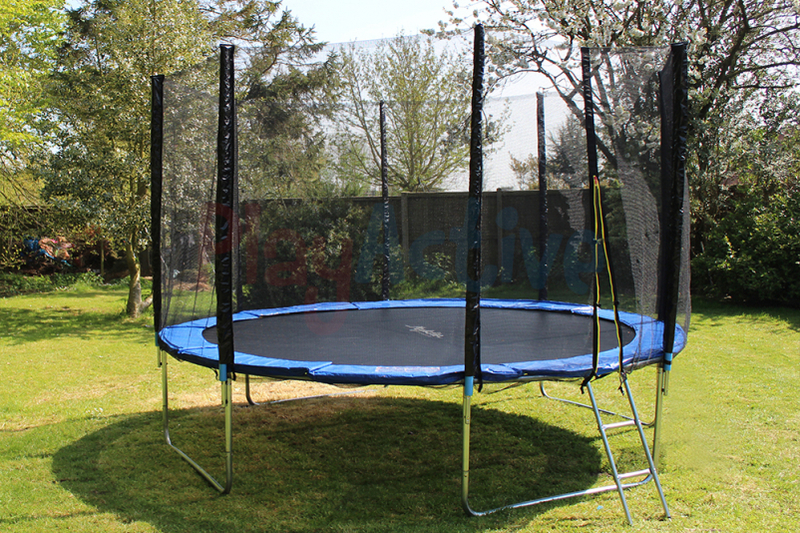 The trampoline frame is galvanized steel, legs painted green and blue, with black net trampoline and blue spring cover protecting all springs - as on the pictures. The ladder steps are missing. The 2 meters high safety net is in place, still usable. The trampoline is in the back garden, the person(s) collecting it dismantles it for themselves. I have a few old Hi8 tapes I'd like to record to disk but I don't have a Hi8 video camera or player. If you have one I'd really appreciate borrowing it to record from. I'm very careful with my equipment and even more careful with that of others and ours is a smoke free home. You're welcome to the takes (and the cleaning tape) if you want them when I've finished recording. 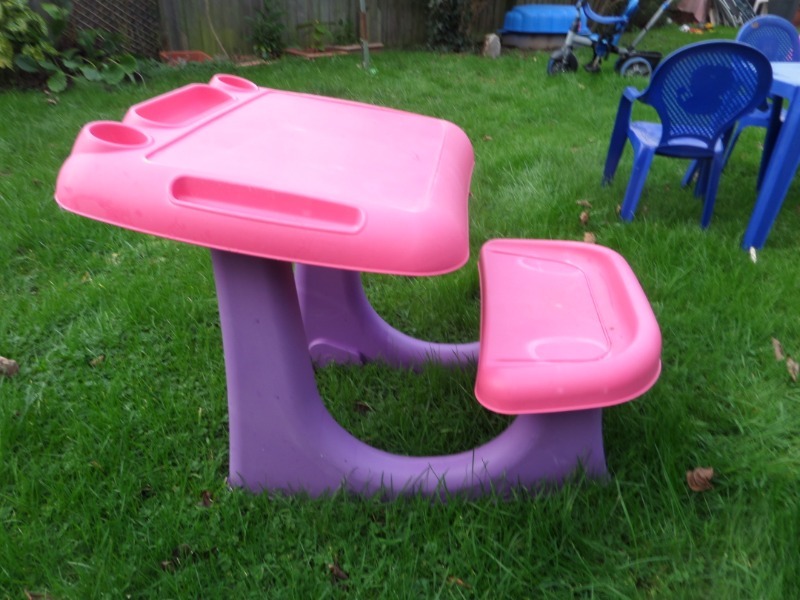 Pink and blue, child's table bench set as on the photos. In a very good condition. Can be used indoors or outdoor. Collection from Exmouth, EX8 1JS. Call Anna mobile, 07401079805. 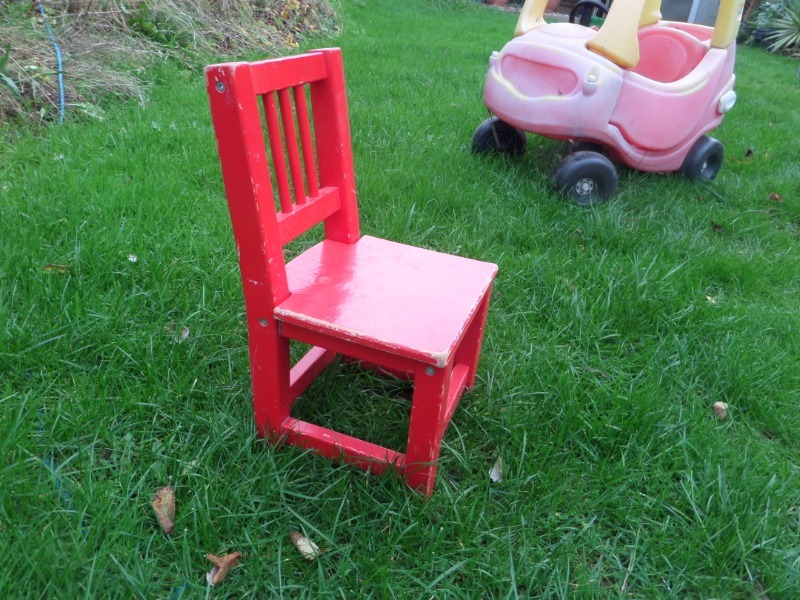 Very small, red , wooden set of 2 child's chairs. Used but still very useful. 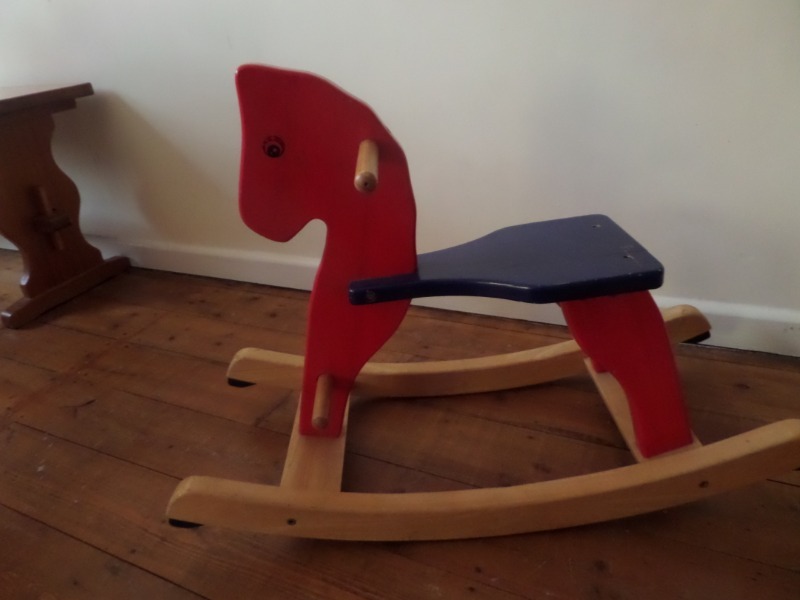 Will suit 1-2-3 years old. Collection from Exmouth, EX8 1JS. Call Anna, mobile 07401079805. Has anyone got a carpet cleaner? My elderly cat keeps having accidents. Thanks! 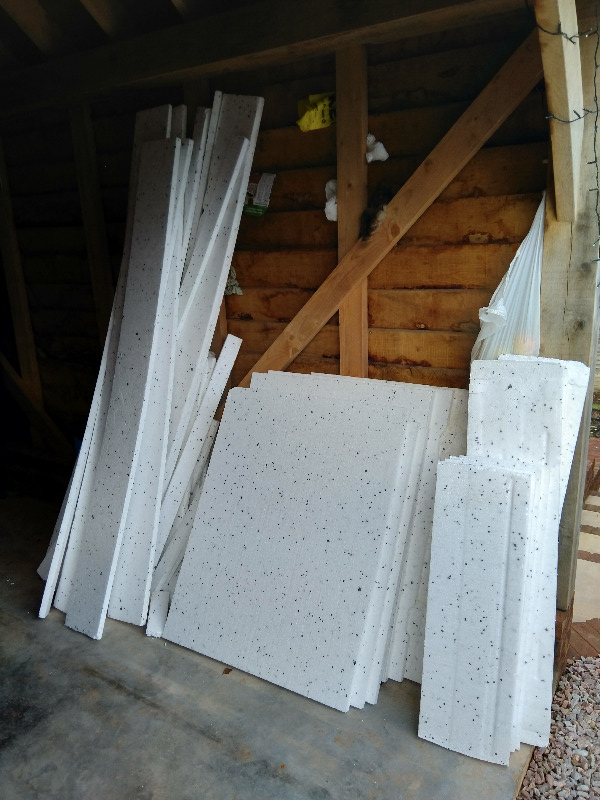 These are 1" or 25mm thick sheets of polystyrene packaging that could be useful for insulating sheds or packaging. 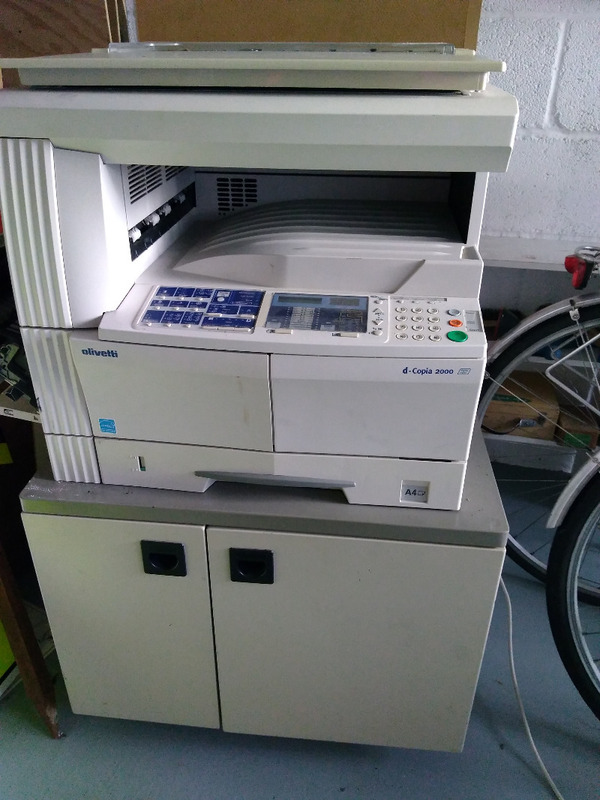 This is an Olivetti d-Copia 2000 - a compact black and white laser copier. It copies onto A3 and A4 paper, and can enlarge/reduce. A key feature is the speed - about 20 pages of A4 per minute. It works well, but has a little toner left, although new toner cartridges can be bought easily. It is quite compact measuring 57cm wide, 54 cm deep and 54cm high. 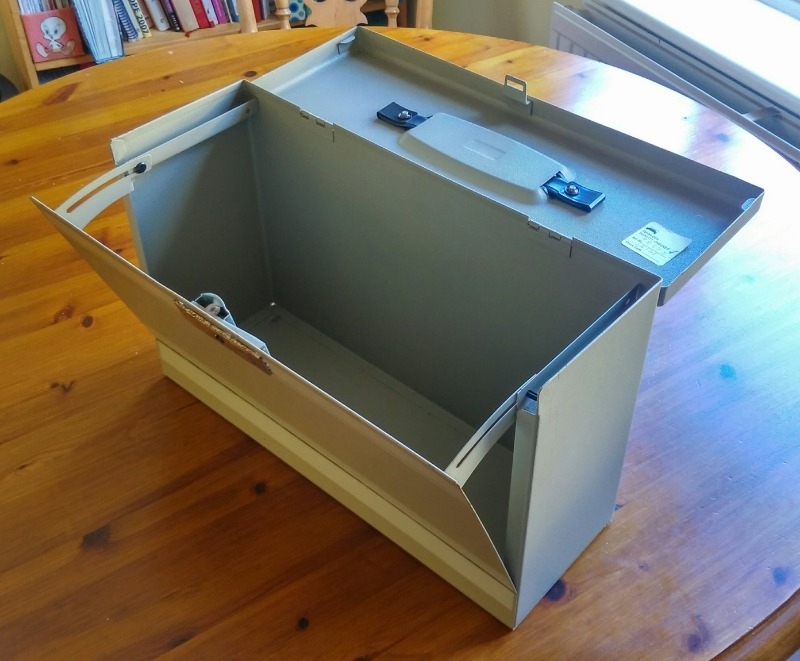 In the photo it is standing on a cupboard - the cupboard is a separate item (it measures 64cm wide, 62cm deep and 55cm high and you can take it if you take the copier! 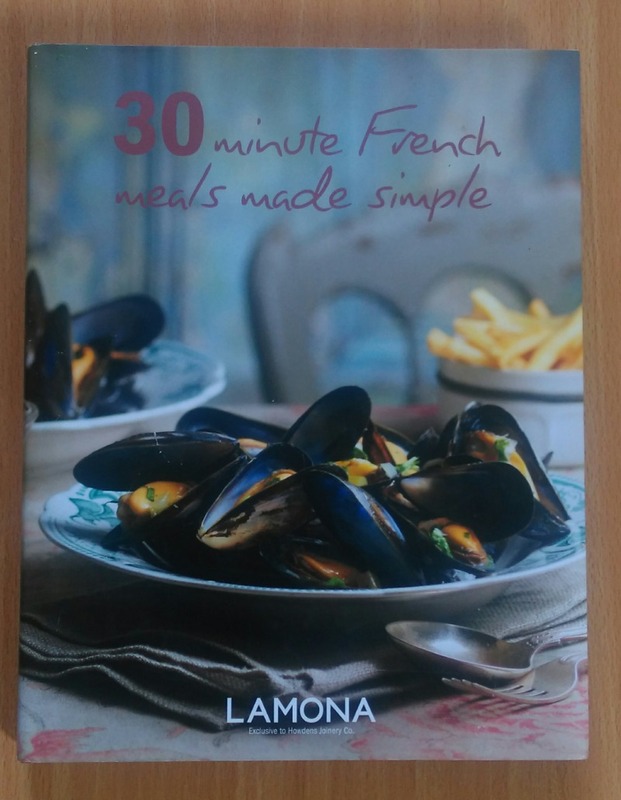 This 110 page hard back illustrated recipe book has a small scratch on the dust cover, but the hard cover underneath with the same print is pristine. 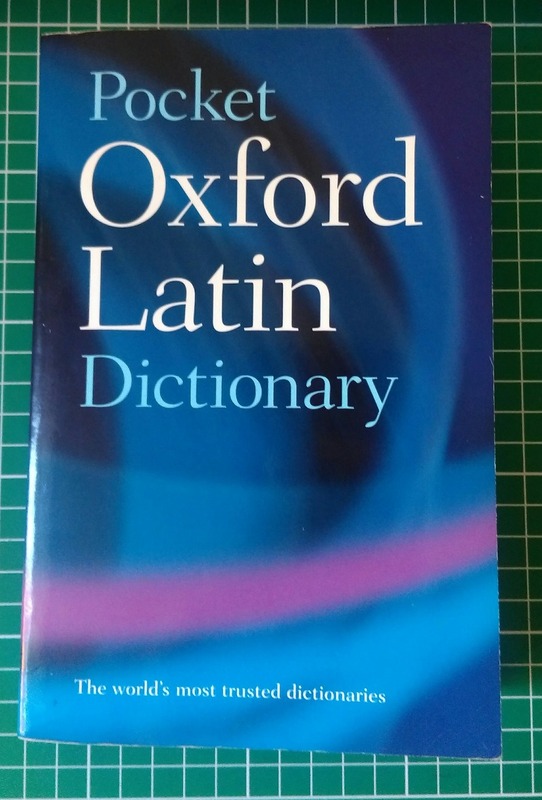 The book is as new and unused. 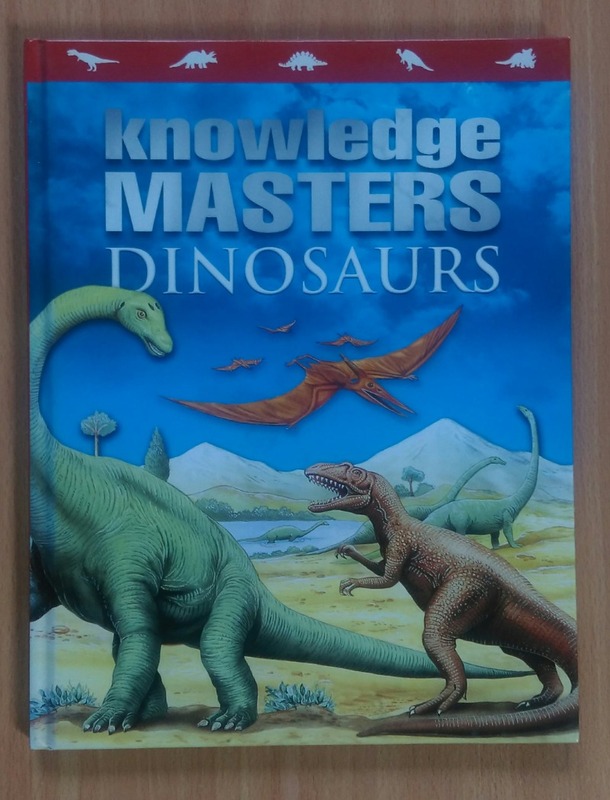 This 31 page illustrated, large print book is in new condition; I doubt the pages have even been opened. Might make a delightful stocking filler for an inquisitive young mind. 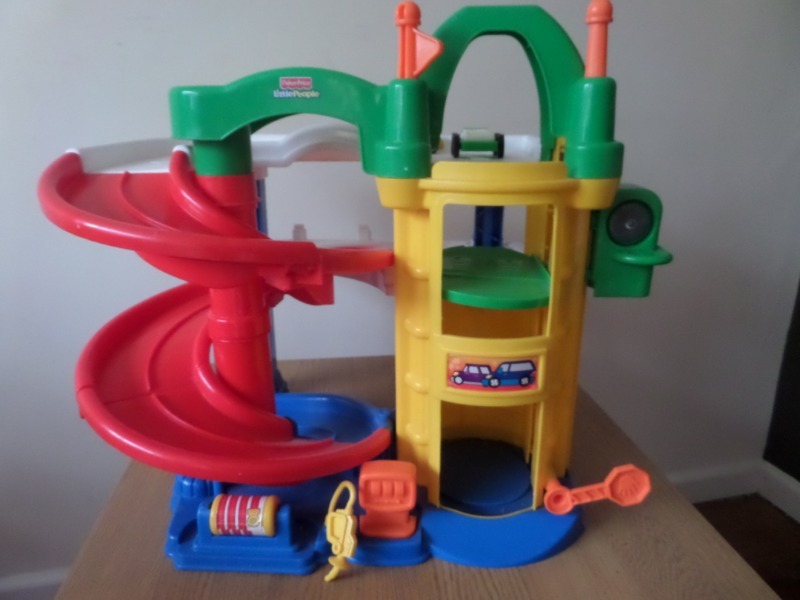 Clearly second hand, but complete with motors, switches, battery holders, and instructions. 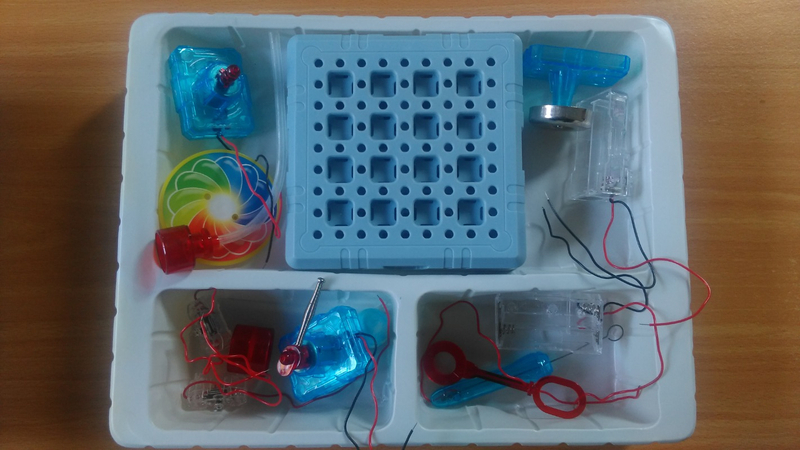 A lot of fun and education for girls and boys from 8 years old. 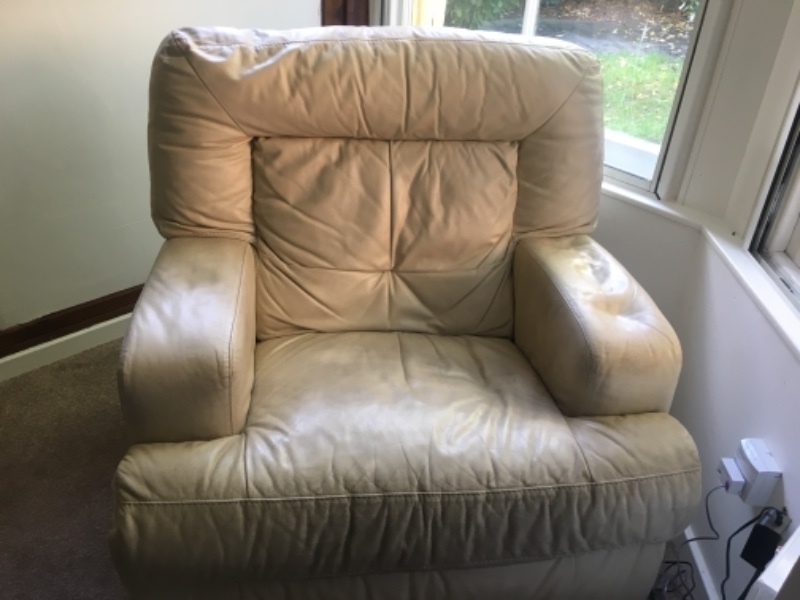 American 3 piece suite barely used as it was in an unused room.. Overall width of settee 6' 6" length. 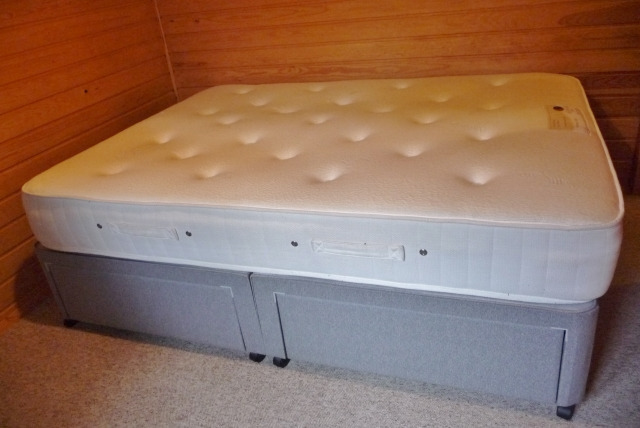 Great condition and good mattress we need the space so it has to go :( 4 storage drawers but no headboard. 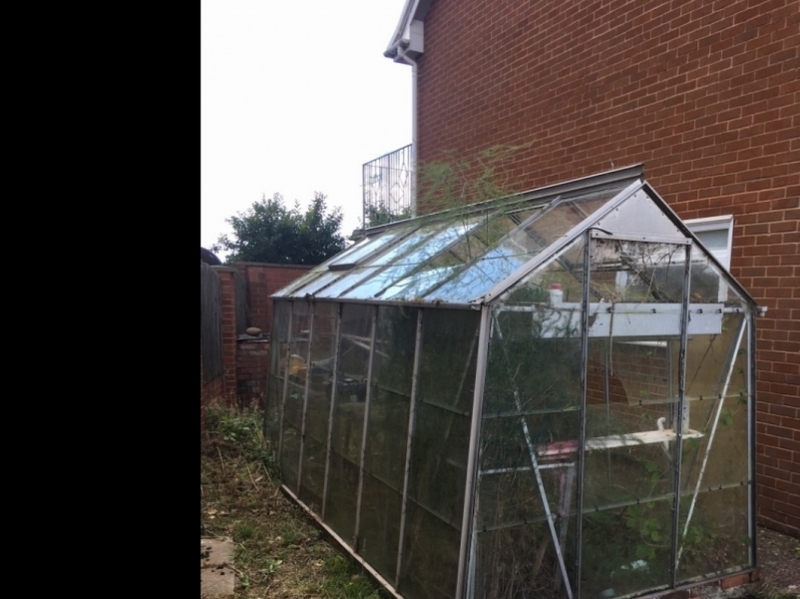 Preferably need gone by Thursday so first to confirm they can collect can have it. 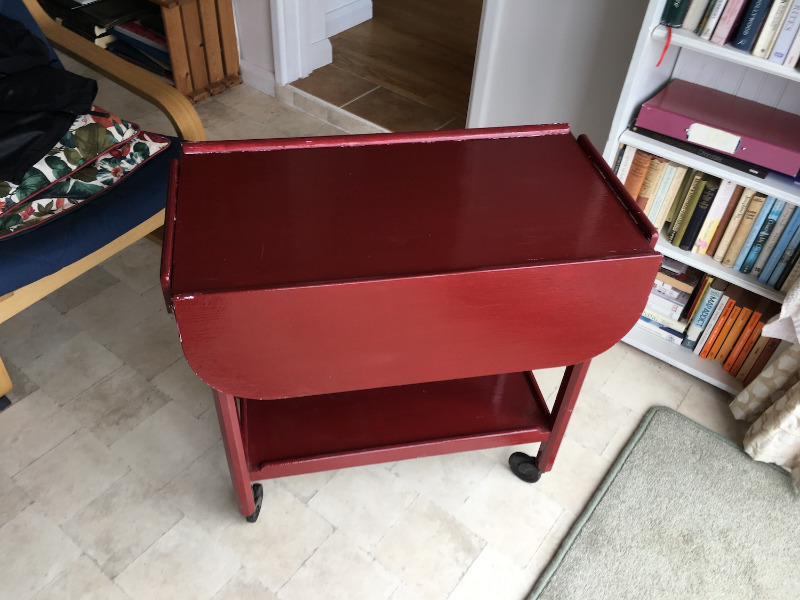 Painted dark red, in quite good condition but one wheel sticks a bit. Probably easily fixable. Side flaps open up to give a flat table. About 26 ins high, 27 long and 15 wide with flaps folded. 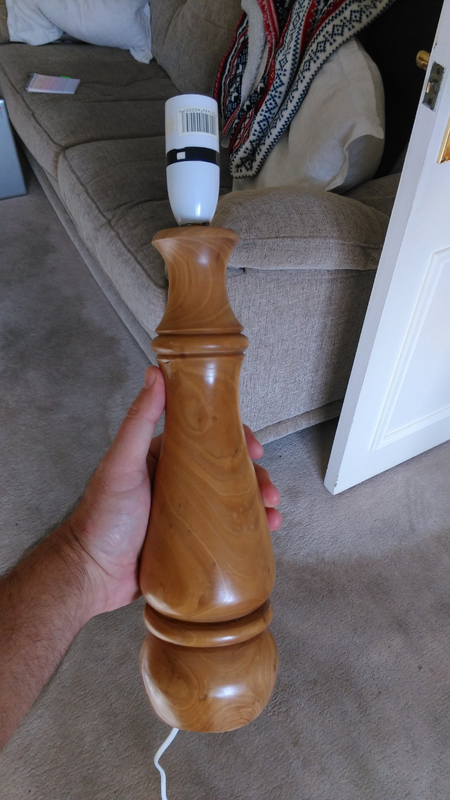 Hand made lamp with plastic bayonet bulb socket. 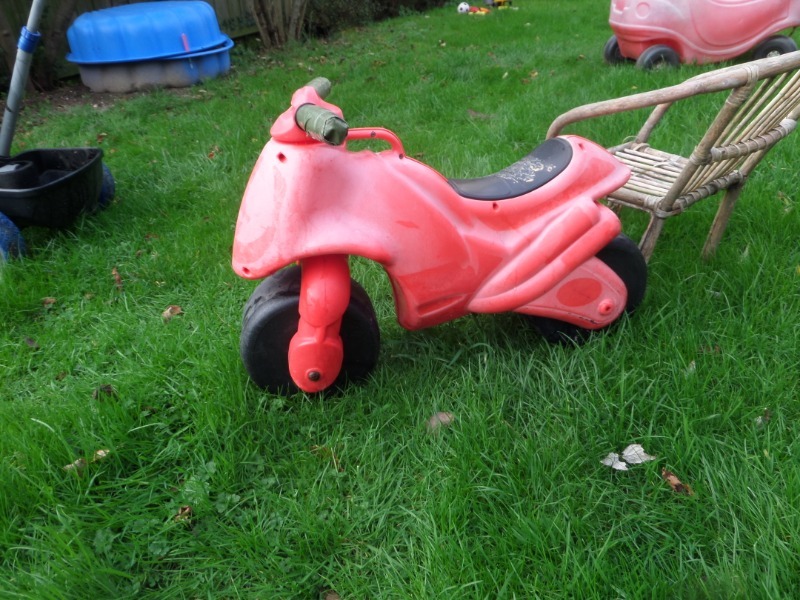 Not electrically tested. The bulb socket is loose and could do with being replaced or glued onto the brass thread on the lamp. The cable is about 2m long. 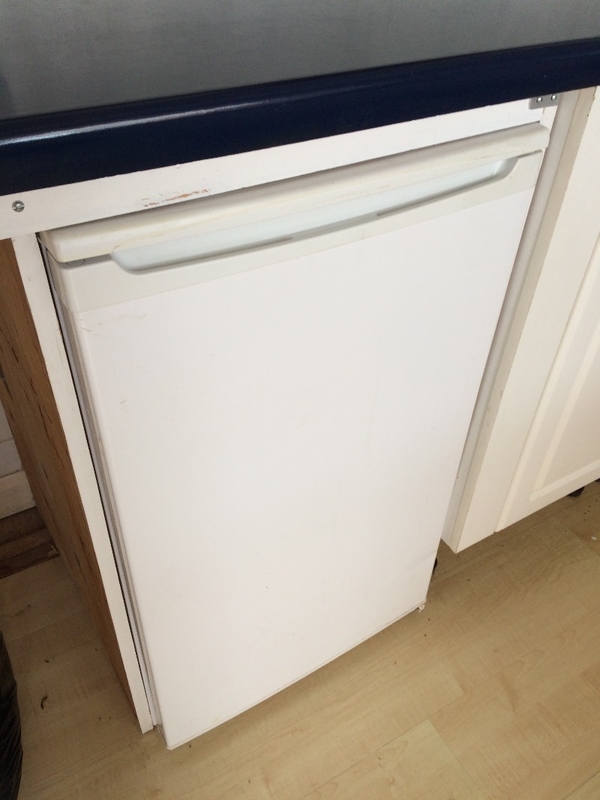 This is used, in working order still, clean, upright freezer with 6 drawers . 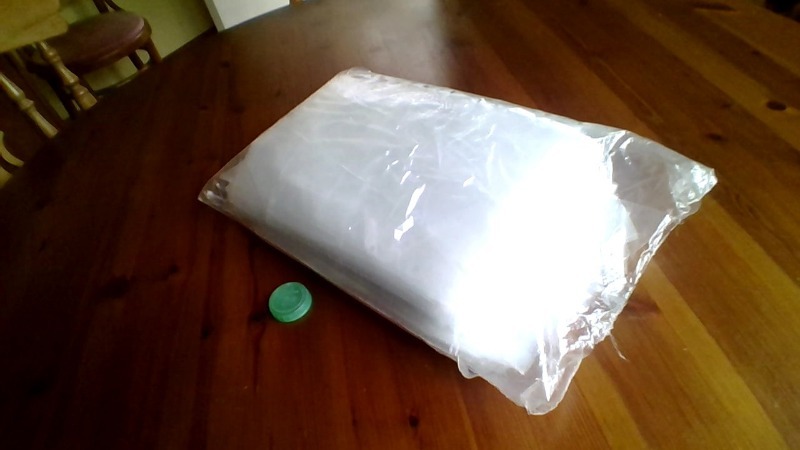 (h)140x (W)60x (L)60 cm. See pictures. To be collected from Exmouth. Or can deliver locally. Anna, mobile 07401079805. Battery operated bulb (batteries not included). You place a stack of slides in one side, slide the drawer back and forth to view them and they stack up as they're pushed out of the viewer. 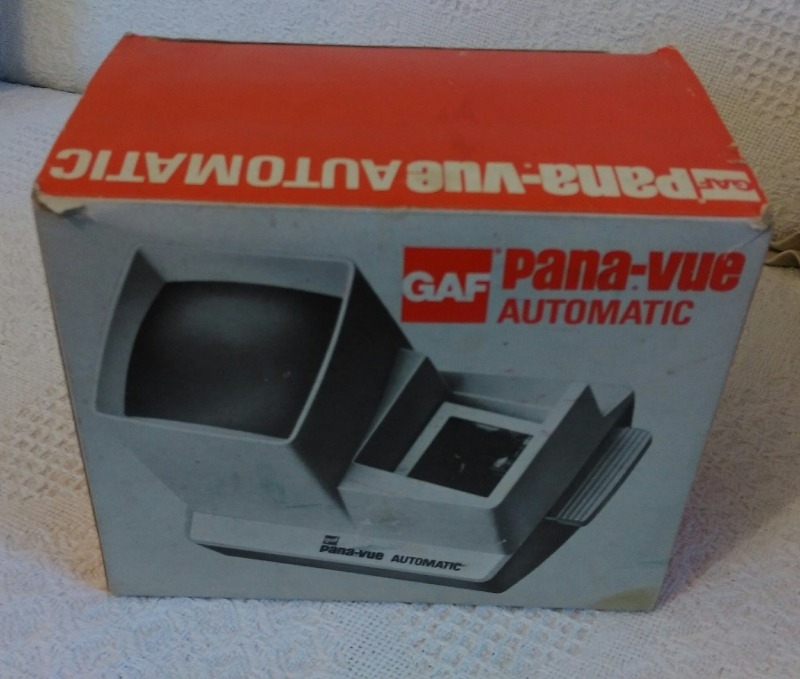 I'd probably concert this to use an adapter but I don't have any slides! Two lever arch and five ordinary folders. Done are a little curved from being stored in the loft. The lid has some rust coming through and the key is missing, but this is a sturdy metal case that you might find useful. 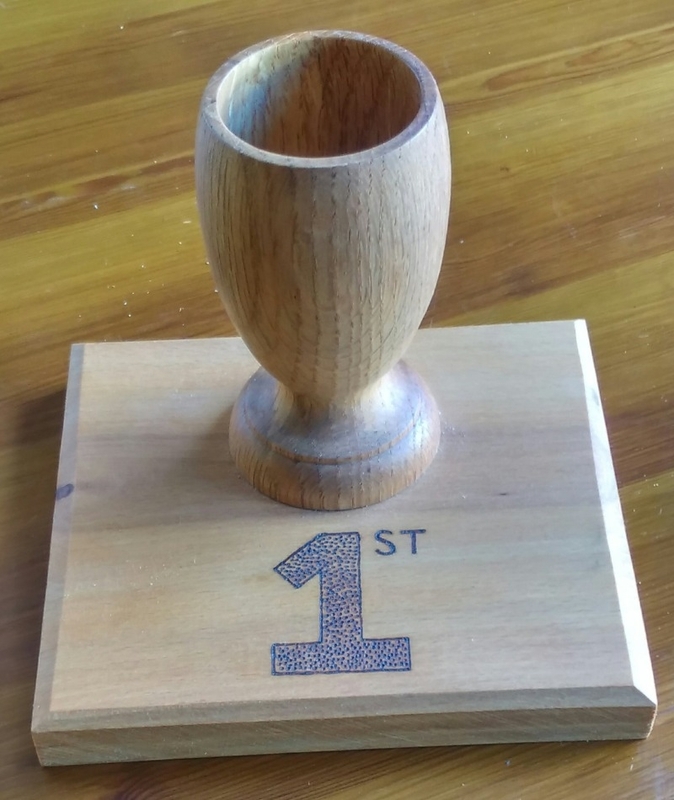 Hand made Oak trophy for a 1st. 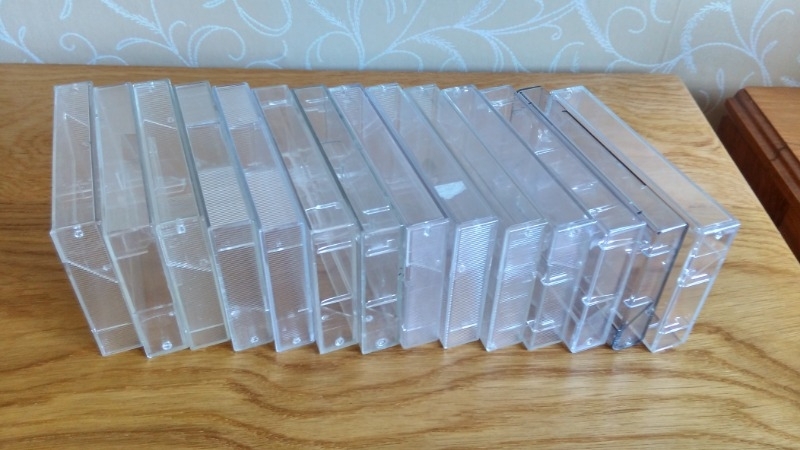 14 empty audio cassette cases. I've heard they make great mobile phone holders - open all the way and put the phone in the cover. Great if you're packing lots of things for the post or Christmas gifts that need some care. 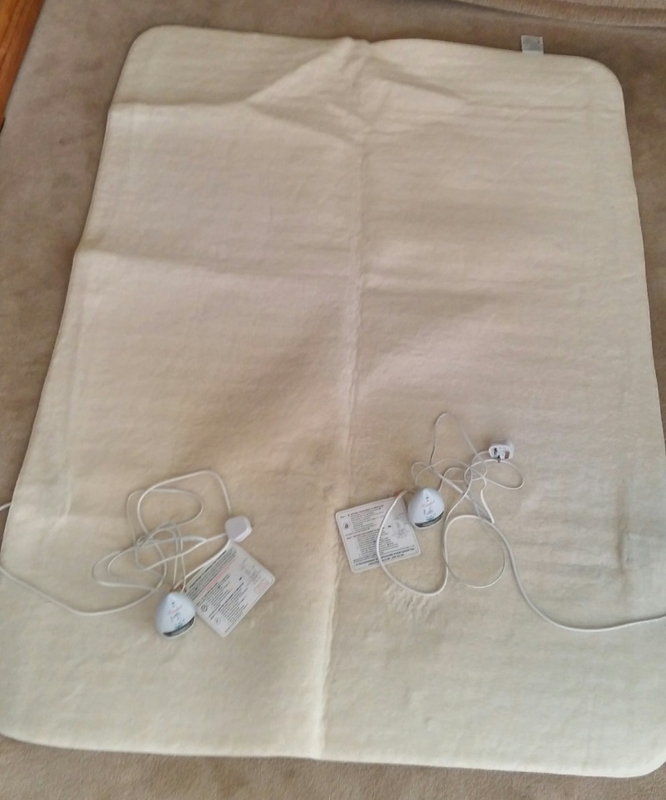 Our daughter used to use this when she was little (she had trouble staying warm at night due to her thin frame). 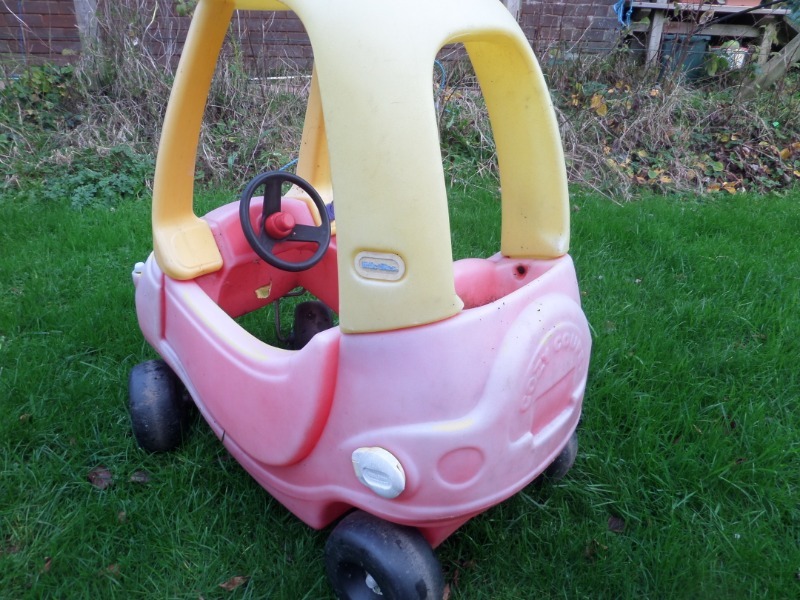 It hasn't been used in years but is still in very good, almost new, condition. Hopefully someone else will find it useful this coming winter. There's a separate controller on each side so you could use just one half; as we did. The controllers can be set to run for a period of time rather than just on/off. 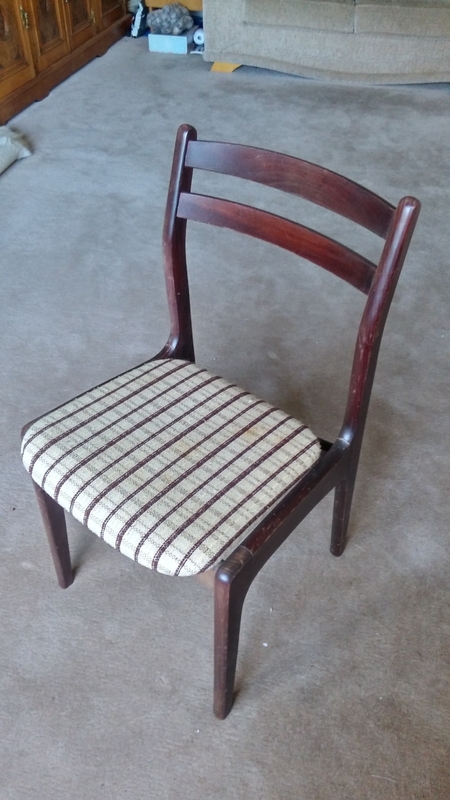 These chairs are old, but still solid and comfortable. Too good for the skip. Maybe you can upcycle them if you don't want the dark wood look? 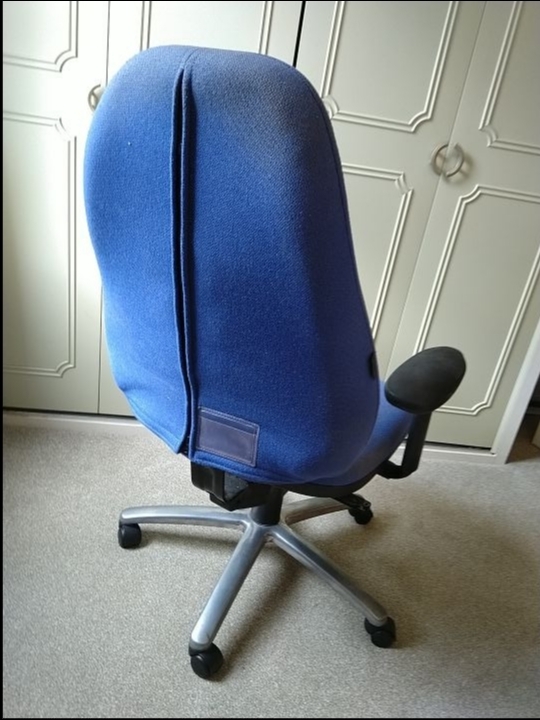 Fully working and adjustable chair in need of a clean but otherwise good. 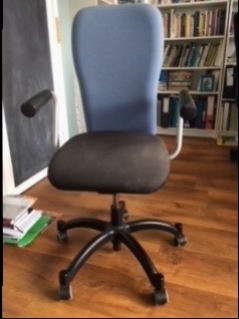 It has adjustable height, arms, back and is on castors. Finished in blue cloth material. 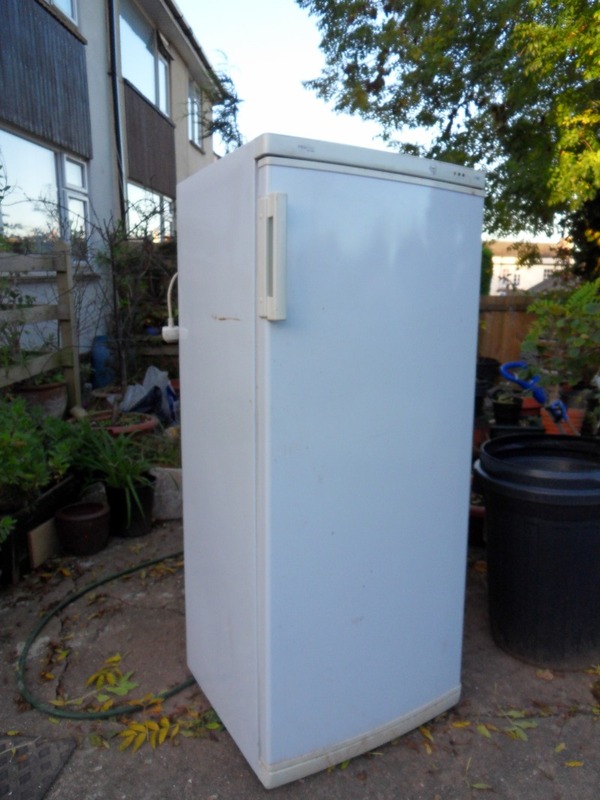 It's a bit dusty from sitting out in the garage and hasn't been used in a while, but this little fridge was running when last used and is no longer going to uni with our son so we have no use for it. Maybe you do? Outside dimensions are 56cm high, 49cm wide and 49cm deep. 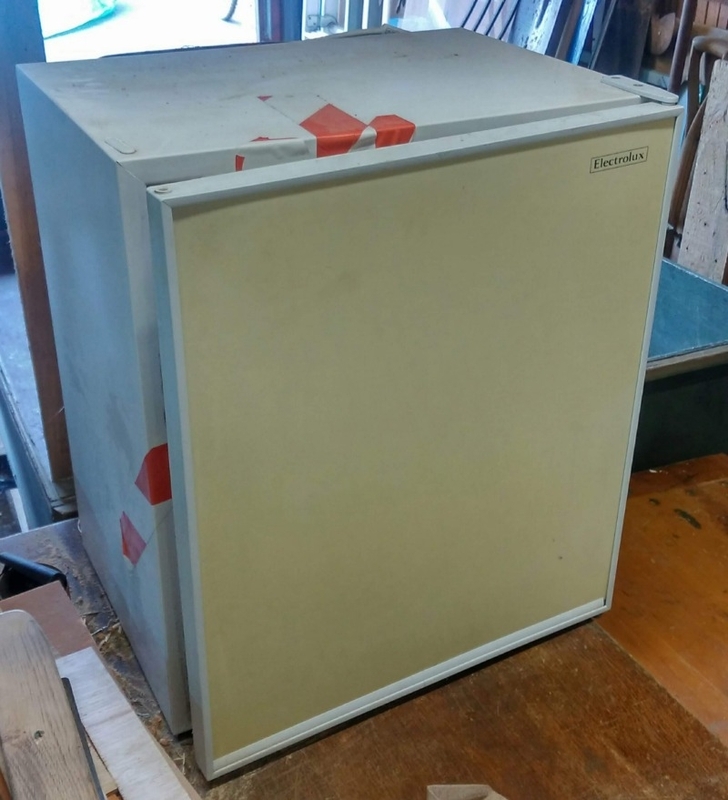 It has a small freezer section built in, and the door tray for bottles/cans is still there. My son bought me a kit to grow chillies, but the Scotch Bonnets are a tad too strong for me. 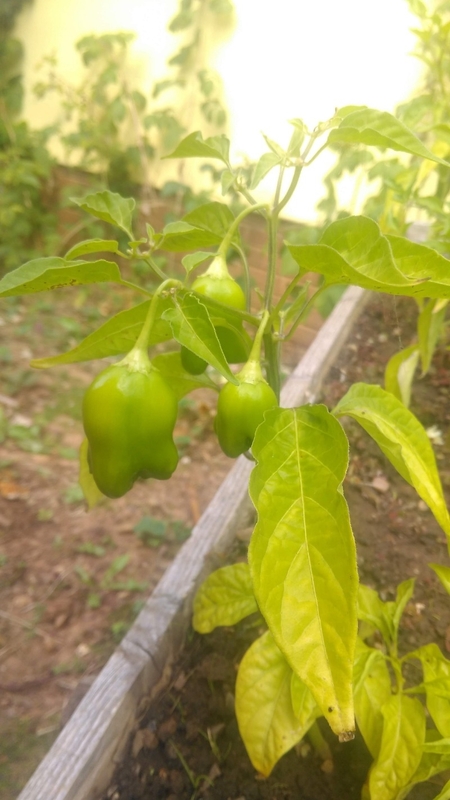 They're not ripe yet, but they're growing well (no chemicals at all, just soil and water). If anyone wants them when they're ripe, they're welcome to them. Apparently you should wear gloves when harvesting them - I'll leave that to you if you come to collect them. I've collected more wood over the years than I have the time to turn so I'm giving away lots of pieces I've saved up. All of it is sound wood in a variety of shapes and species from bowl blanks to spindle pieces. Almost all of it is Yew, Oak, Ash, or Beech. Please let me know when you can come and spend some time selecting what you want. 'Autoleon' player piano with some rolls. This is a very heavy item and will need strong chaps to move it! 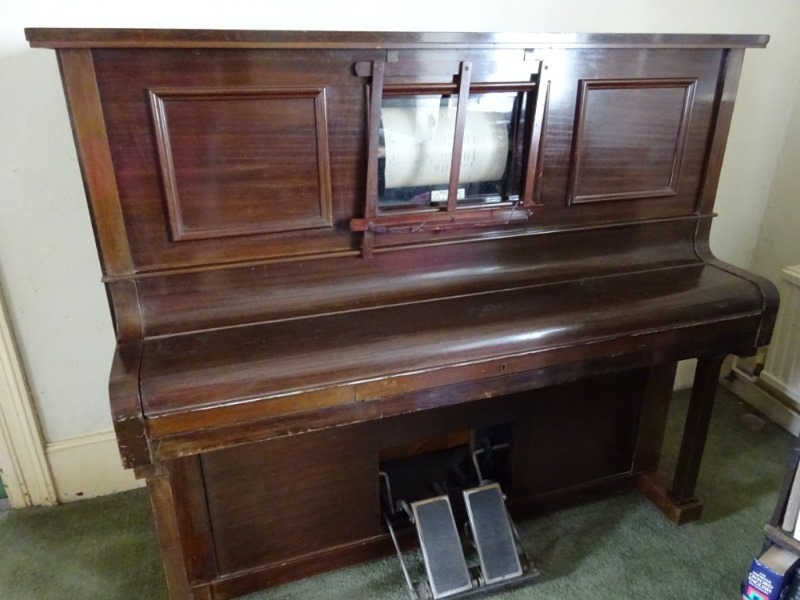 In partial working order as a pianola but needs more restoration work to bring it back to full operation. Can also be used as an ordinary piano (needs tuning). I can no longer pedal this due to a knee injury, so regretfully have to dispose of it. Collection from Venn Ottery. My sons caught more fish than we possibly can eat. Happy to share. Already cleaned. 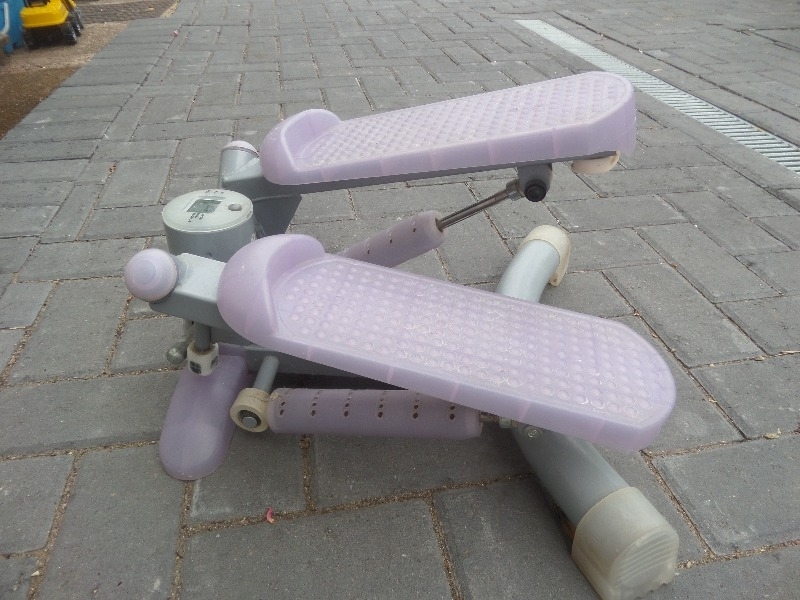 Metal see-saw for outdoor play for children. Bit rusty - needs some paint and attention. To be collected from Exmouth. 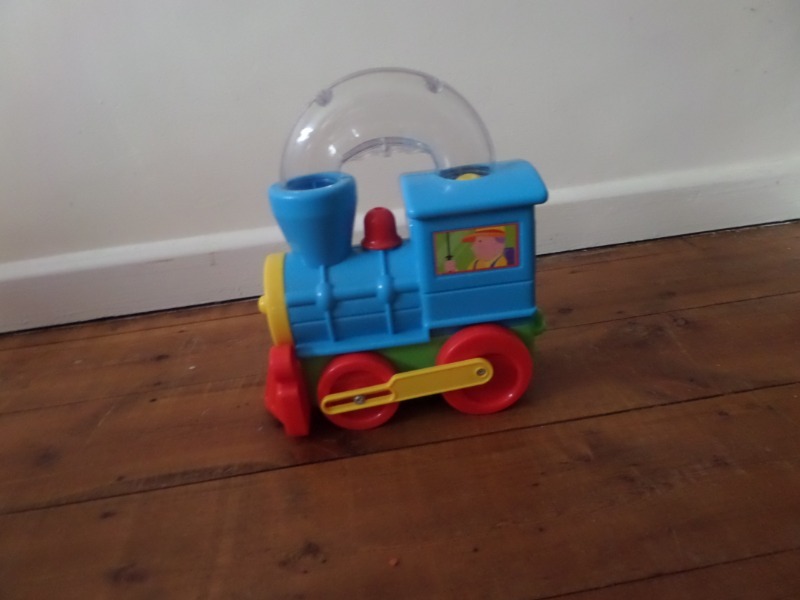 Child's Toy. 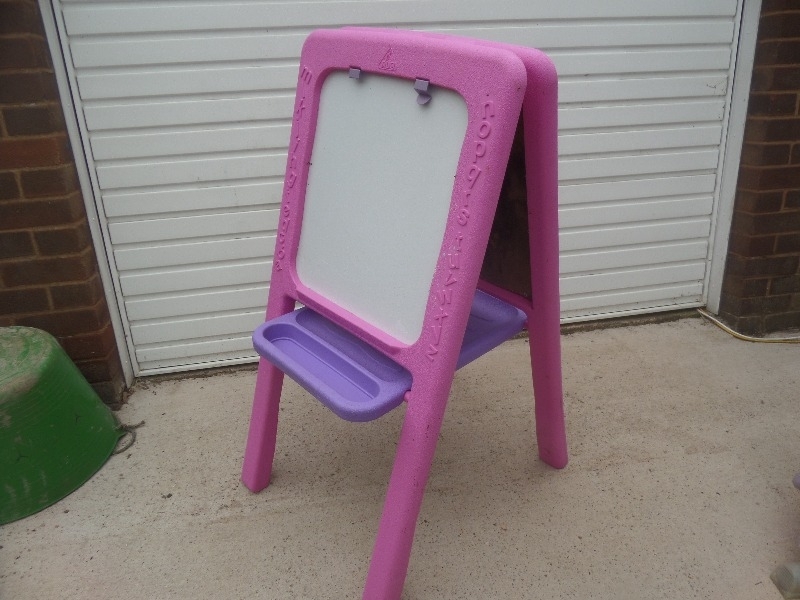 Purple, plastic, double sided easel with black board and white board on the other side and with a pen-chalk trays. To be collected from Exmouth. See https://www.amazon.co.uk/Kingfisher-PS4016-Litre-Backpack-Sprayer/dp/B000V17M1I/ref=sr_1_2_sspa?ie=UTF8&qid=1533202709&sr=8-2-spons&keywords=kingfisher+backpack+sprayer&psc=1. 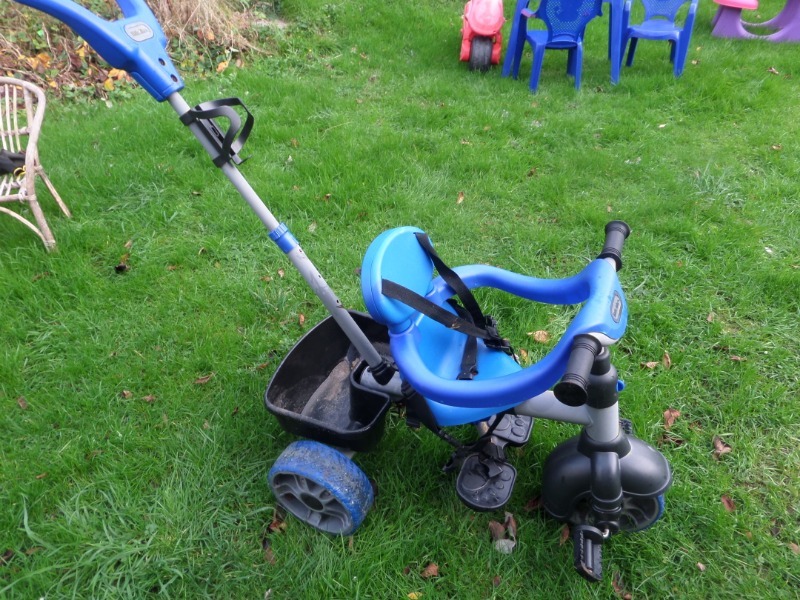 This is a Kingfisher 16L backpack sprayer bought in 2012 used only for water. In good working condition. Hello, I was wondering if anyone had some paint that they no longer needed? Thank you very much for your time. 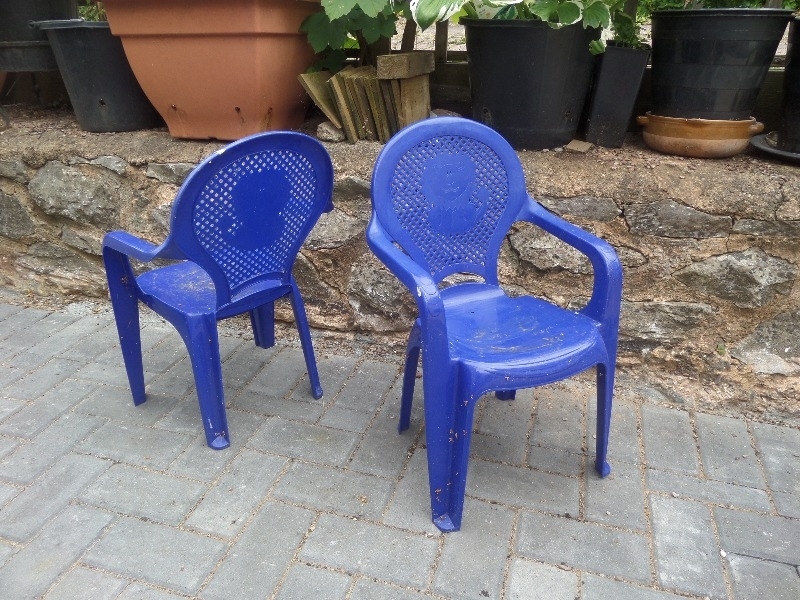 Blue plastic childs chairs. Outdoor or indoor. To be Collected from Exmouth. 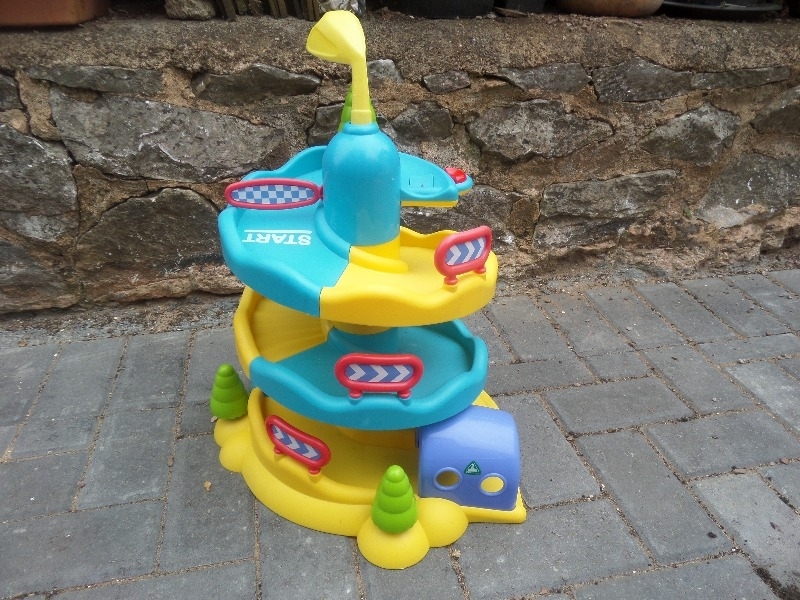 The plastic Toy, Early Learning. 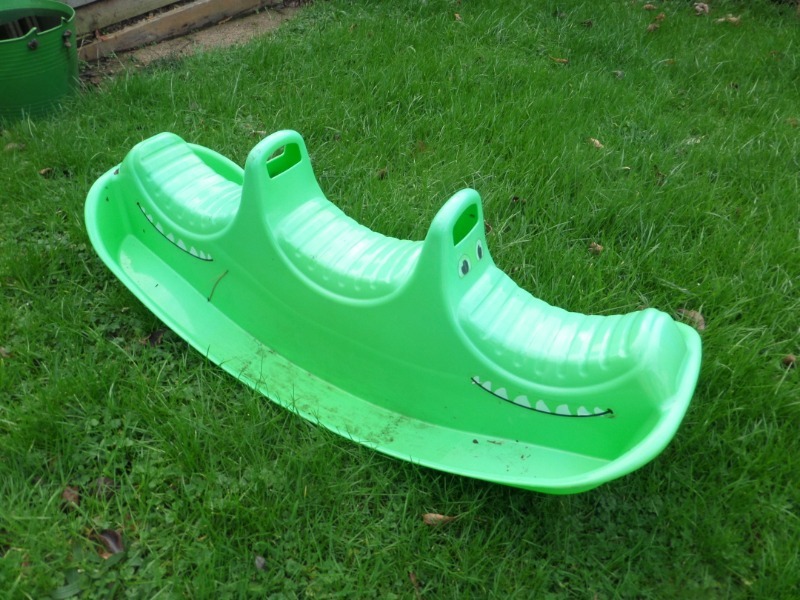 car slide. To be collected from Exmouth. Larder fridge. Inherited from previous owners. New kitchen to be installed, so not needed. DOMYOS ESSENTIAL MINI STEPPER - BLACK. Designed for occasional cardio and strength training workouts. Perfect for keeping in shape and losing weight. For cardio training and muscle strengthening. 4-function display: reps, duration, pace and calorie expenditure.Non-slip steps. Small, compact piece of fitness equipment that's easy to move. Weight 5 kg. To be collected from Exmouth. 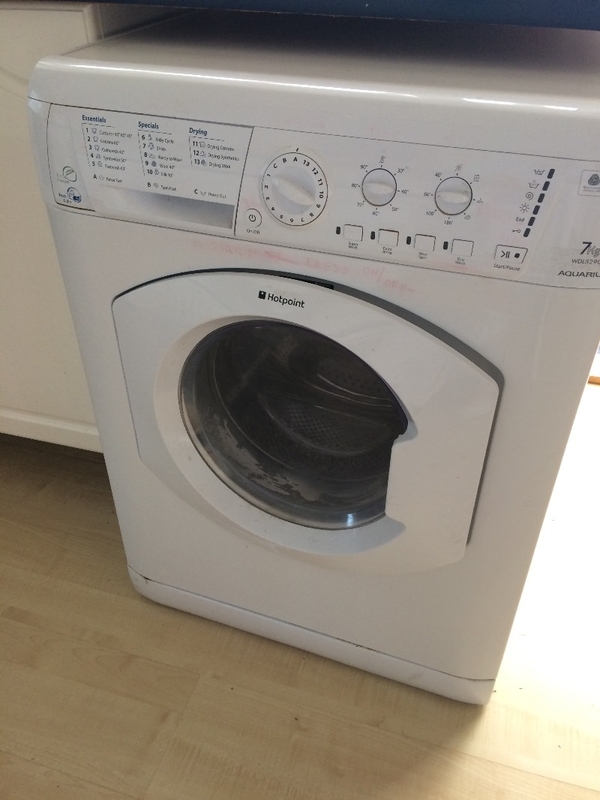 Hotpoint Washer/Dryer: WDL 5290 Aquarius. Inherited from the previous owners of our bungalow. New kitchen to be installed, so not needed. 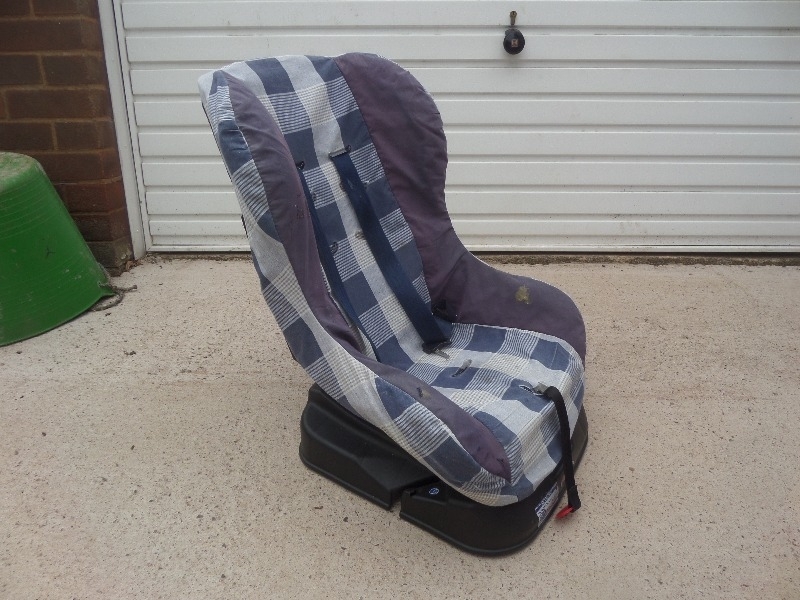 Old, but still usable childs car seat.Collection from Exmouth. 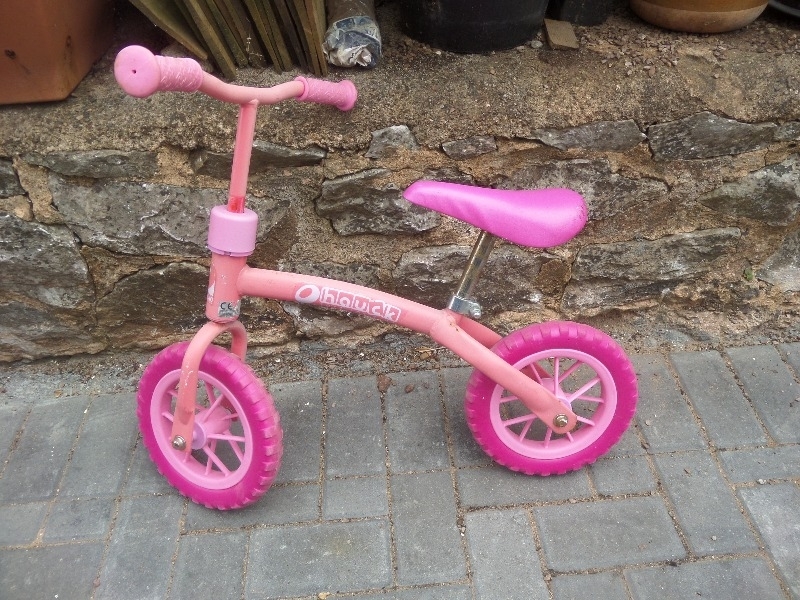 Pink, very good condition, adjustable height. 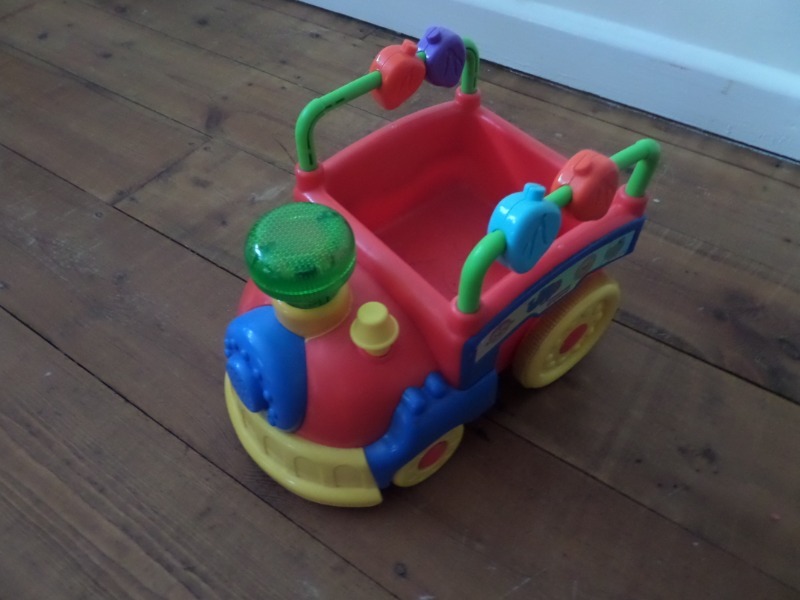 Easy Ride Balance Toddler Ride On Toy Bike. 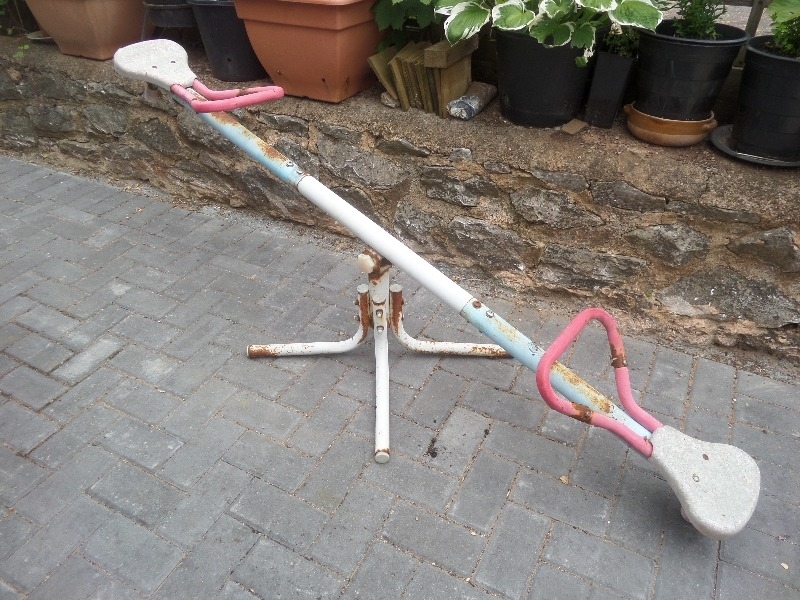 To be collected from Exmouth. Would love to give a 12 month or more Shitzu dog his Forever loving home if one needs Re-homing, but, only for genuine reasons. We are great animal lovers and have many pets but, just adore little Shitzus. Would like to hear from you if you can help. Thank you. As in the picture. 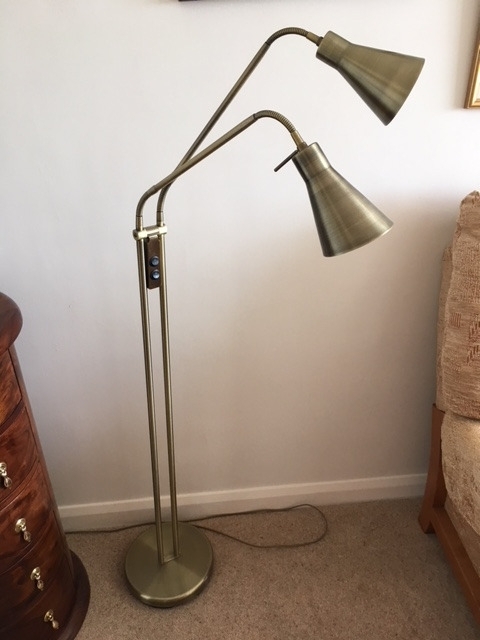 Bronze colour with two adjustable lamps. Hi I've got 2 Mechanics (M1, M2) revision guides from the old (this year is the final year) MEI spec. 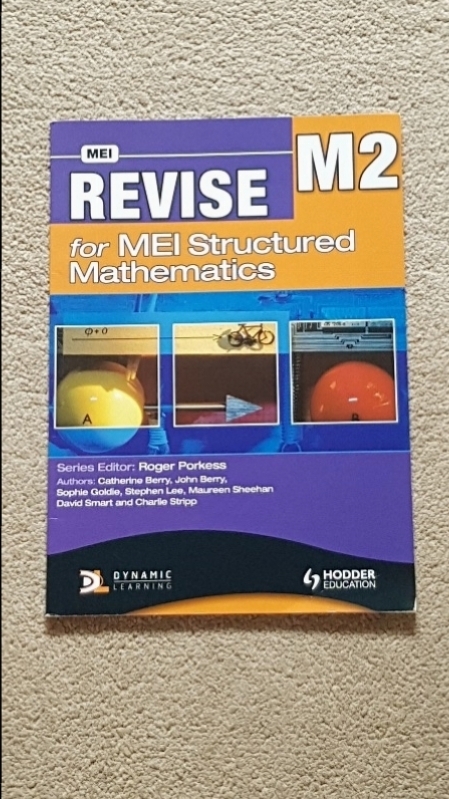 I have also got some even older Core maths textbooks. I found the revision guides very useful and they helped me a lot during my studies and I hope that they will help you too. One complete roll of Wickes 170mm thick insulation. Perforated to fit between 400mm or 600mm joists. One arm rest a little battered, but otherwise fine. In pretty bad shape and really old, but it does work. Maybe only good for parts? 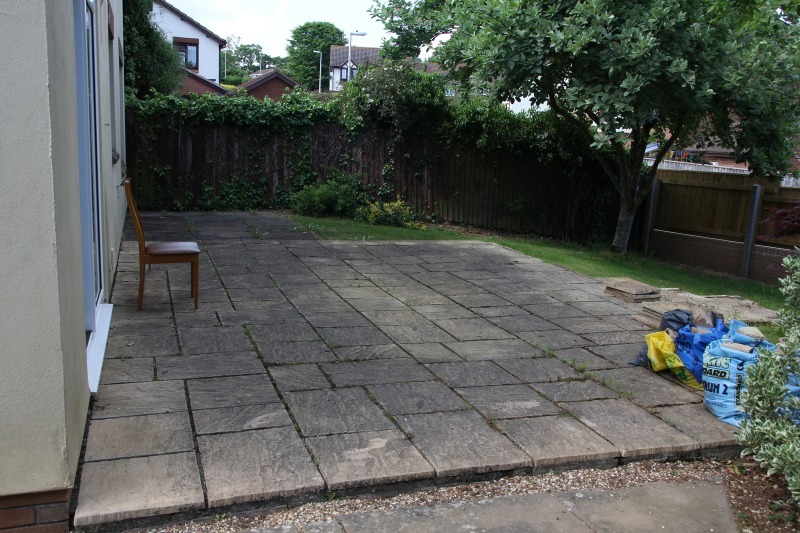 I have about 18 paving slabs available. These measure 60cm x 90cm x 5cm and are very heavy. They need two very strong people to lift and suitable transport. 39 large slabs, 82 square slabs 39 half slabs, 186 matching bricks and 27 edging slabs. 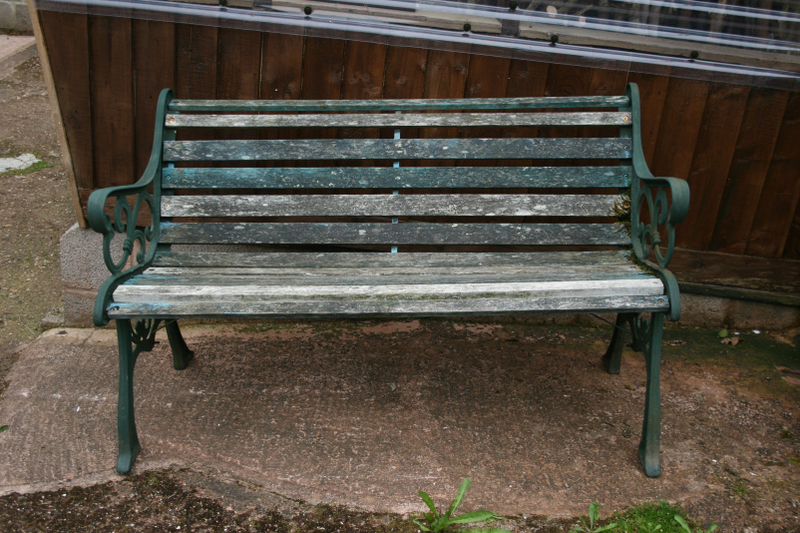 Colour originally cream/yellowish but now weathered. They would clean up easily with a power washer otherwise clean. A photo is attached to show area originalyl covered. Please phone 07905863397 for more details. Sorry it's a WANTED. We're looking for one or two pine wardrobes even if they need some TLC or repair, as our daughter is moving into her first home and soule like something relatively sturdy. Shower curtain rail. 183.5 cms long with 2 wall end supports and 11 runners. Can be cut to length. 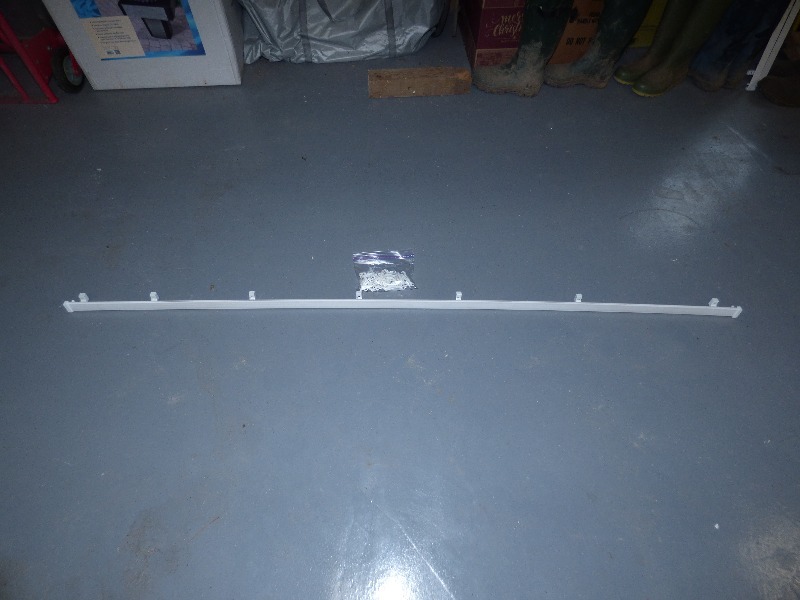 White plastic curtain rail. 187 cms long with 7 supports and 2 ends plus a bag of runners/hooks. Can be cut to length. 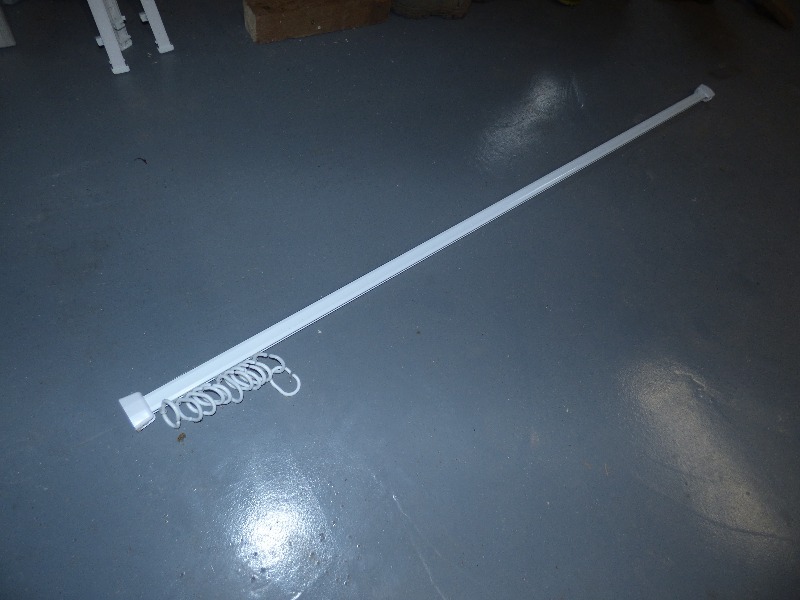 White plastic curtain rail. 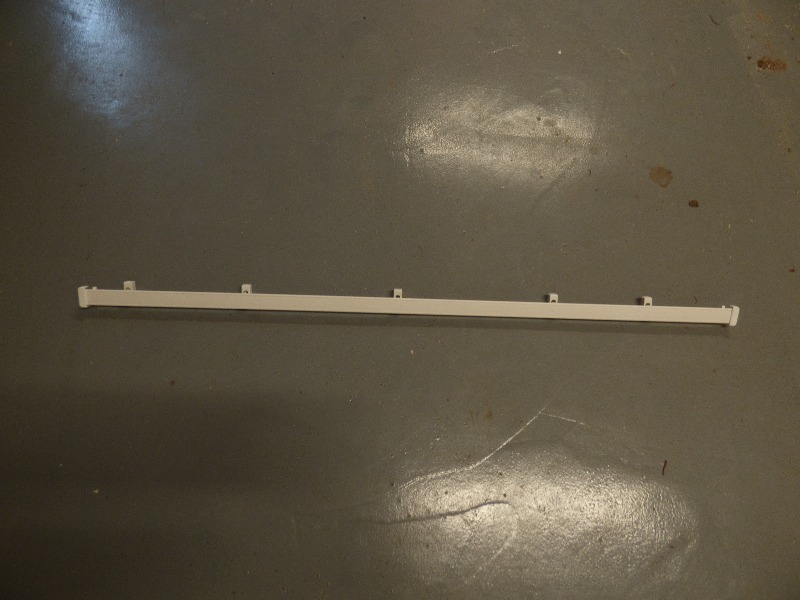 115 cm long with 5 supports and 2 end stops. Can be cut to length. 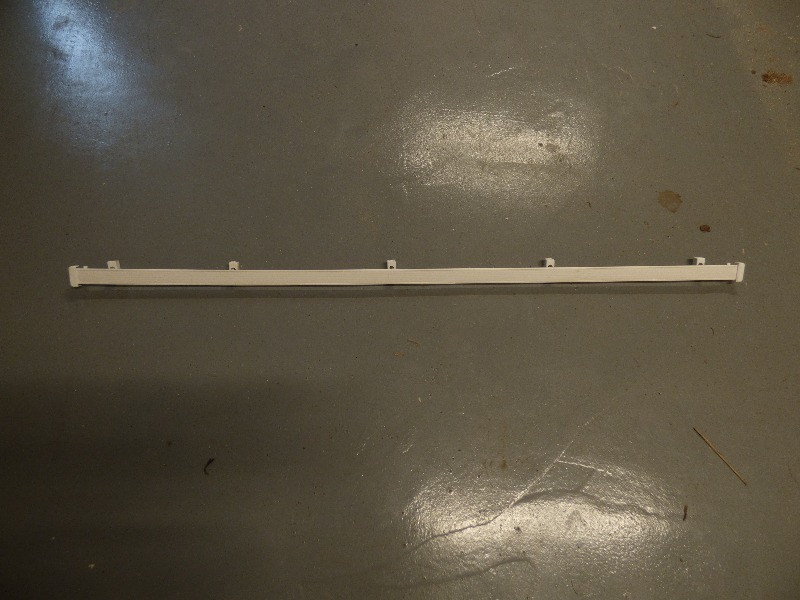 White plastic curtain rail. 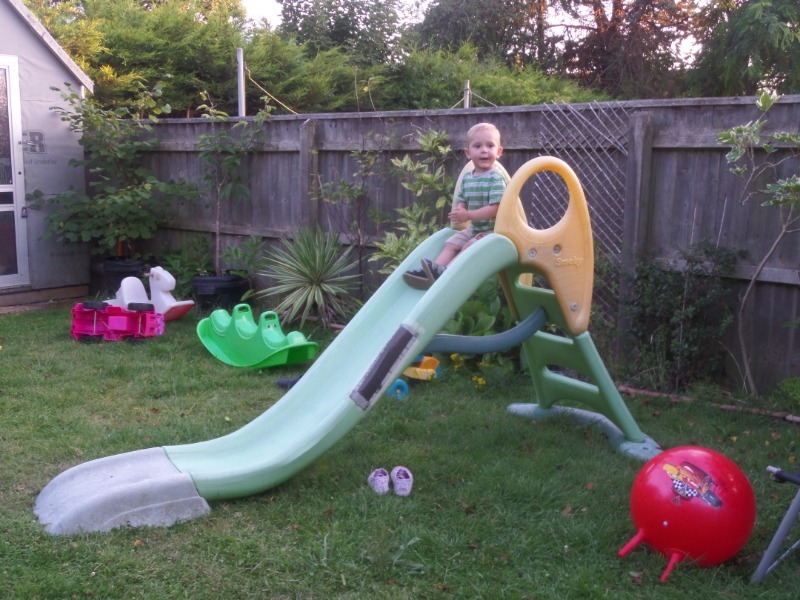 120cm long with 5 supports and 2 ends. Can be cut to length. Hi, I was wondering if anyone had a medium to large sized whiteboard going spare? 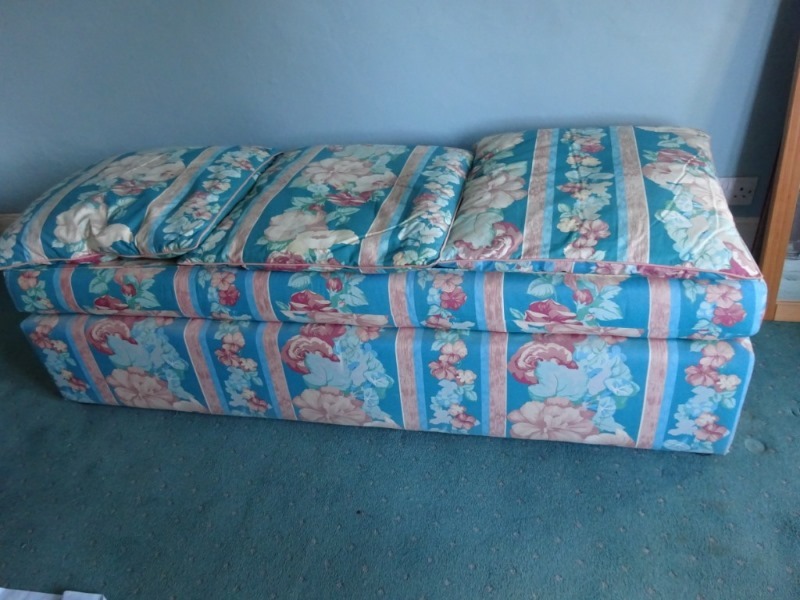 UPHOLSTERED DAY BED OR BENCH Pretty upholstered daybed or bench. 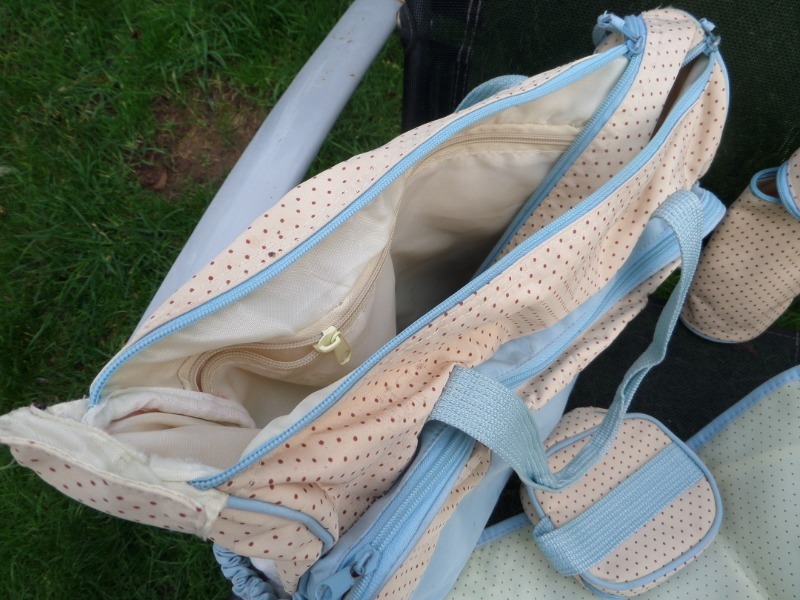 The 'mattress' section is attached to the base, with 3 separate cushions. 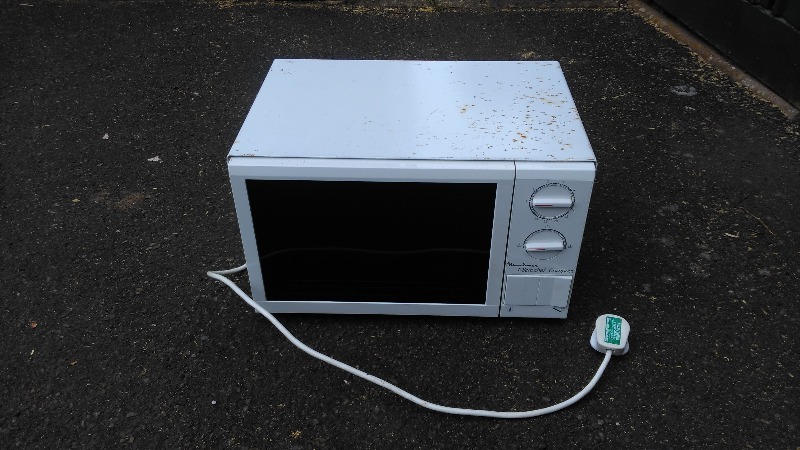 Note: It does NOT have a 'fire safety' label attached, although we think it is OK. Note that the base is fixed and does not have storage space. 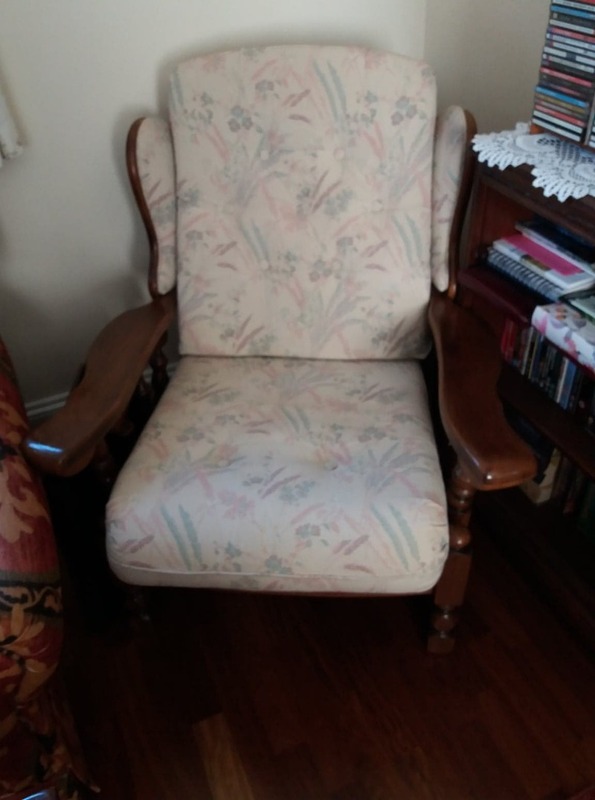 Has only been used as occasional seating in a bedroom. Dimensions: 1.62m long x 60 cms wide. Smoke and pet-free home. Collection only from Venn Ottery. 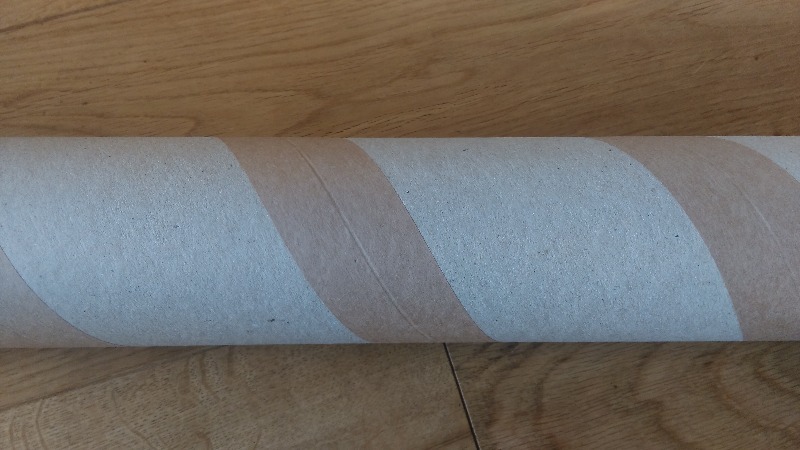 Just like the title says, it's a cardboard tube, 3 inches in diameter and 140cm long. 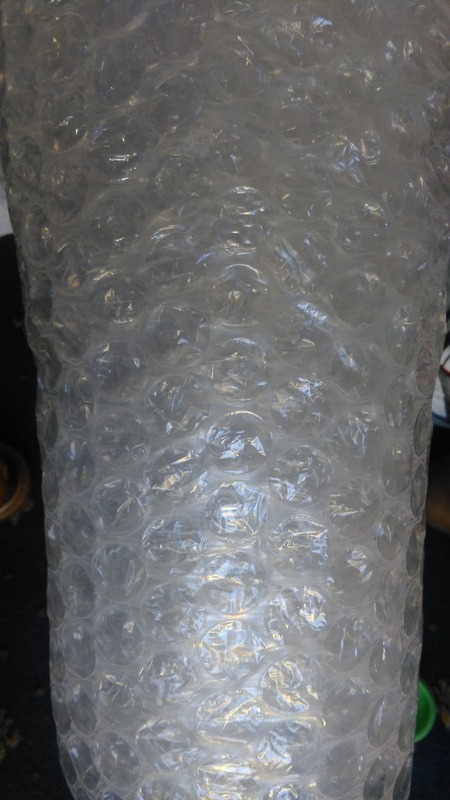 Approximately 320x140 cm sheet of bubble wrap; the large bubbles. Belling countryrange 100DF 100cm wide 7 gas hob rings, electric grill, electric fan oven and electric non fan oven plus 1 storage drawer. Glass lid to cover hobs Working order - we never had any problem with the oven or gas rings. The fan oven light doesn't work and cannot be replaced and the clock display recently stopped working. The glass lid is useful but does not cut off the gas when closed anymore as it was originally designed to do. It needs a clean. Free. Collection only (from Exmouth) - you'll need a van and muscles. 5 small (24cm x 30cm i.d.) 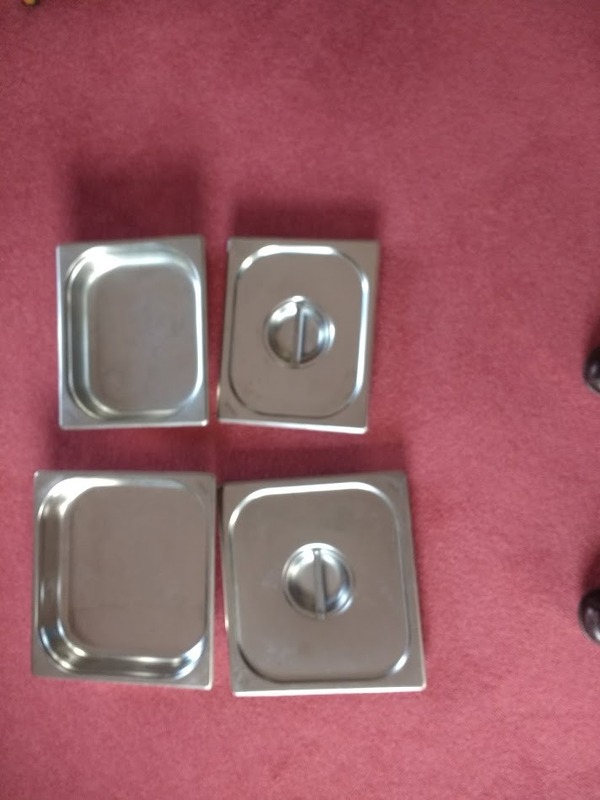 aluminium catering tins and 4 large aluminium catering (30cm x 33cm i.d) tins. All in good condition. 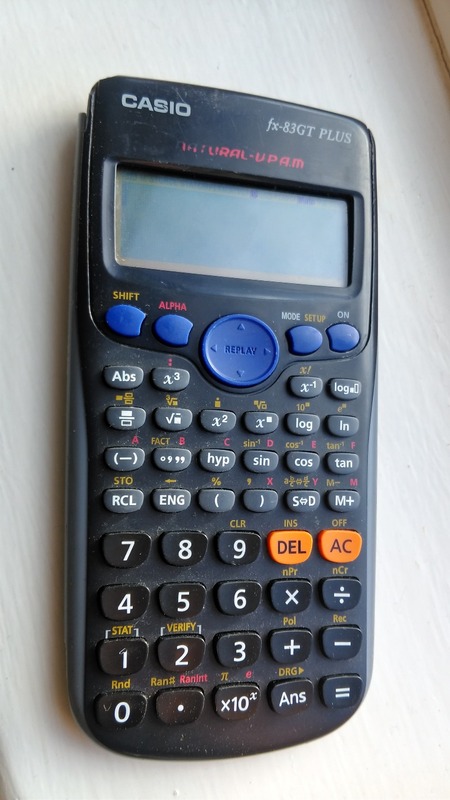 Very well used, one corner of the case has broken off, but the calculator works fine.